David Robert Chapman, 53, of Mesa, AZ formerly of Dubuque passed away on December 30th, 2018 at Mayo Clinic in Phoenix, Arizona. Funeral mass will be at 10:30 a.m. Saturday, January 26th, 2019 at the Church of the Resurrection with Rev. Andy Upah officiating. Family and friends may gather after 9:00 a.m. at the church until time of mass. Private family burial will be in Mount Olivet Cemetery. Leonard Funeral Home & Crematory is serving the family. David was born on October 13, 1965 in Dubuque the son of Robert and Marlene (Bemis) Chapman. 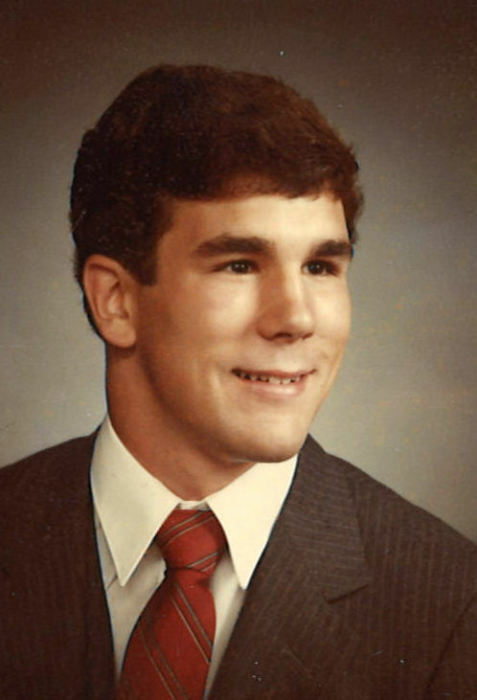 He graduated from Wahlert High School in 1984 where he excelled in wrestling and from Hamilton Tech in Davenport, lA. His life journey took him from being a Mental Health Tech at Mercy Hospital, a parts manager at American Marina in Dubuque, to co-owning Alpine Appliance Store in Avon, Colorado. He then owned Chappy’s Concession Trailer while living in New Glarus, WI from which he traveled to various fairs in the community. 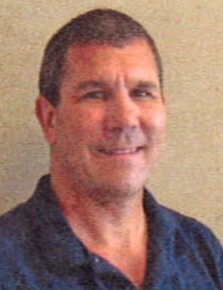 While living in Arizona he was the parts manager for R. Christ RV Sales and Service in Mesa, Arizona. David was a ten-year liver transplant survivor. He loved the outdoors from boating to fishing to hunting as well as always being accompanied by one of his dogs. He was a devoted NFL fan to the team in each of his locations. He was the ultimate friend to those close to him. Dave is survived by his parents Robert and Marlene Chapman; of Dubuque, his three sisters Michelle (Rich) Stender, of Dubuque, Pamela (Jeff) Thill, of Warsaw, IL, and Connie Chapman, of Dubuque. Nieces Stephanie (Jason) Klein, of Marion, IA, Stacy (Chris) Kelley, of Denver, Co., Sarah (Matt) Weber, of Dubuque, Abigail (Marcus) McDaniel, of Kahoka, MO. Amy (Carlos) Pittman, of Dubuque and Jennifer Harjehausen. One nephew Tyler Thill, of Macomb, IL; 14 cousins who David loved greatly, two aunts Marjorie Hellmann and Doris Hingtgen of Dubuque and his Godparents William and Joyce Huss, of Dubuque.